This is a summary of some of my work for Merin Designs that includes, Web Design and content, Photography; lifestyle & product, Illustration, Layout, Social Media campaigns, Promotional Video and Icon Design. Switched platforms from Wordpress to Squarespace: transfer domain and build new e-commerce. I designed several icons to use for the website. 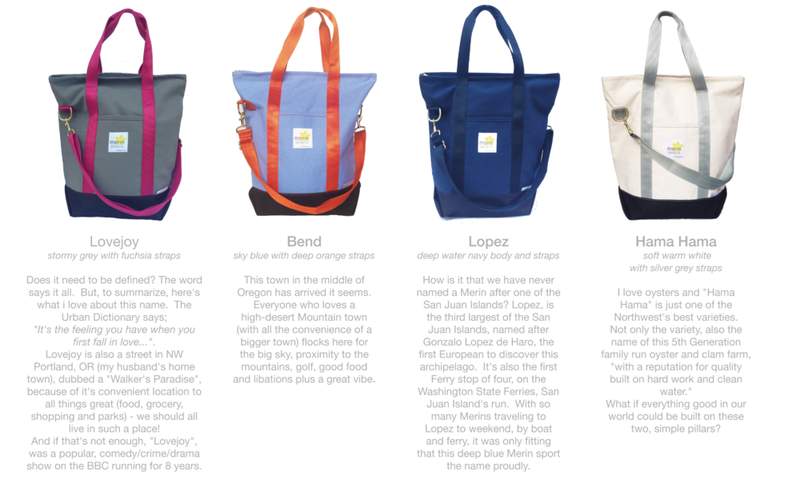 The first ones were for Merin Care, to show customers how to care for their bags. The second ones are placed on the footer of the website and they each take you to a different part of the website with useful information like Merin Care, Size Guide, Returns and FQA. 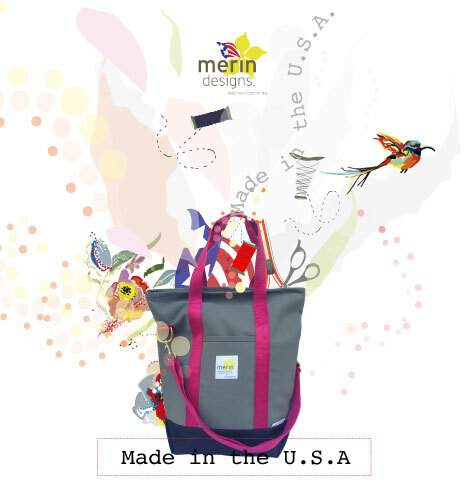 Merin Designs moved the production of Merin bags on 2015 from overseas to the USA (Portland, OR). This was a big change for the company and the product. 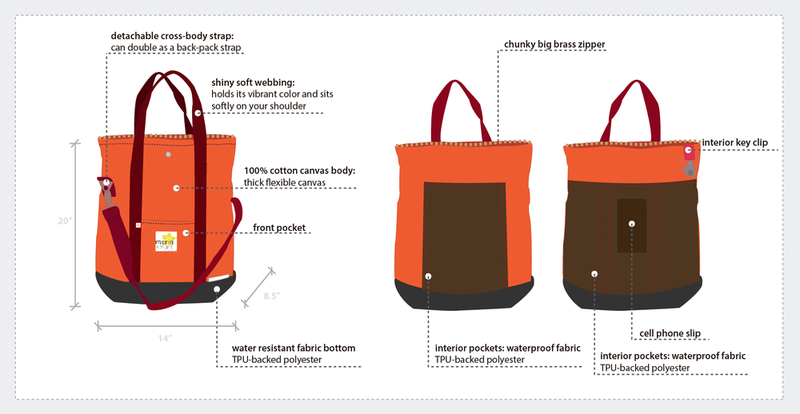 We wanted to honor that and modify the original logo for the Made in the USA bags released on February 2016. We made stickers with the new logo to go on the packages. Last Spring I collaborated with two colleagues from the Video and Motion Graphics program at LWIT to create a promotional video for Merin Designs, to tell the story of the company and interview the owner to use across all social platforms. I believe it's really important for the costumer to believe in your story, see the faces of those behind the product and design. Photography and video for the promotional content for social media platforms telling the story of both companies. This was a contest we had to get customers to be a part of the new color design combinations. This was some of the content I created to promote the contest and encourage customers to participate through social media. Creative Illustrations for the launch of the new colors Made in the USA.